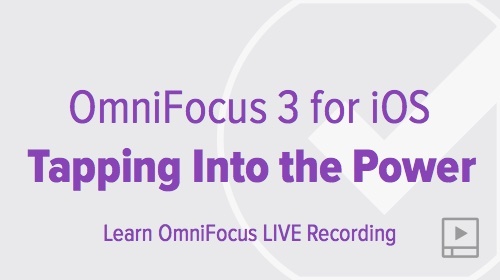 It’s worth investing some time to learn how to tap into the rich feature set that OmniFocus provides. 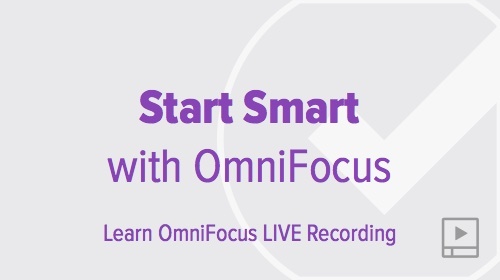 OmniFocus has a rich feature set that can take a little time to master. 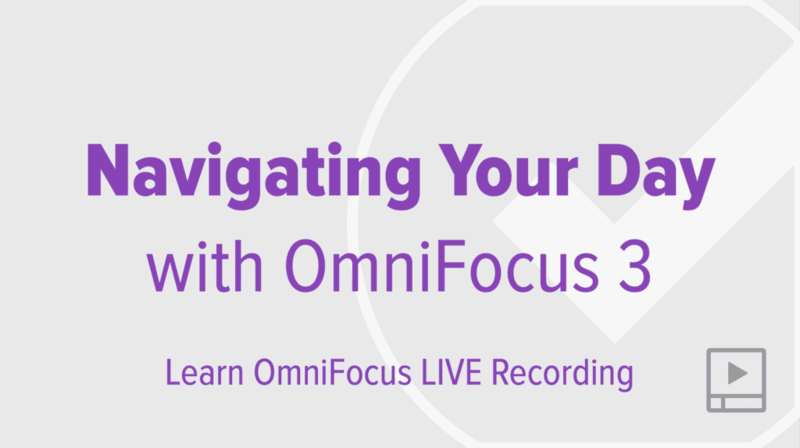 Gaining a solid understanding of OmniFocus’ capabilities will help you use OmniFocus to skillfully navigate the complexities of life and work. 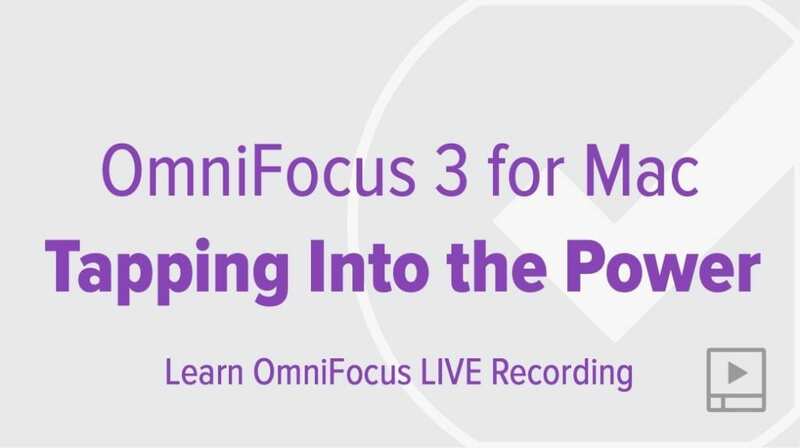 The following live sessions focus on learning about OmniFocus’ extensive capabilities and provide best practices for putting this power to good use. You’ll be guided through the process of setting up OmniFocus for the first time, will be introduced to the most basics features (e.g. how to create projections and actions), and will learn about more advanced capabilities that support convenience and efficiency (e.g. custom perspectives). 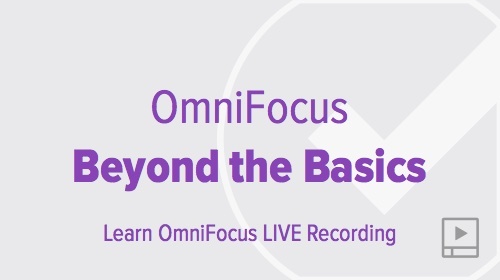 For additional learning, be sure to check out our Mastering the Basics, Beyond the Basics and Quick Tips videos included in our content library.